I LOVE fresh TURKEY but I also LOVE what I can do with my leftover turkey. I enjoy turkey hot, with cranberry sauce, or cold, with Russian dressing. One of my all time favorite sandwiches is fresh, off the bone, turkey (none of that deli stuff, thank you) with coleslaw, and Russian dressing on toasted Rye Bread. YUMMY! 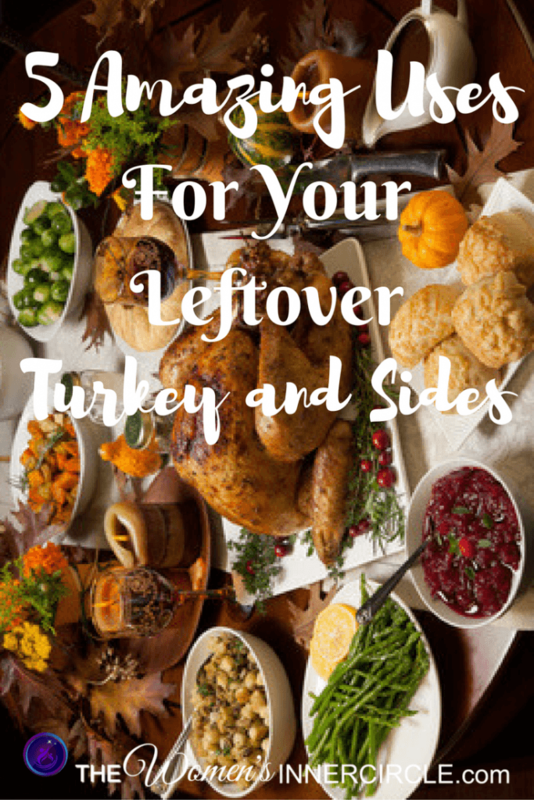 In addition, it’s exciting to experiment with different recipes with all the leftover turkey and side dishes from the holiday. To my family, that’s half the fun. My son loves to make the sandwich they always talked about post Thanksgiving on Seinfeld ~ The “Moist Maker.” He puts some turkey, stuffing, sweet potatoes, gravy, cranberry sauce and whatever else is leftover that sounds tasty, and puts it between two slices of bread. To be a little more creative, you might want to check out some of these other interesting recipes we found. We absolutely love this Loaded Turkey Panini idea from Pinch of Yum Recipes although we would recommend you try it using Whole Wheat Bread, substituting Canadian Bacon, using Light Muenster cheese and cutting back on the amount of butter used. Have fun and experiment. Feel free to add a few of your own leftover vegetables to this quick and easy Turkey Pot Pie recipe from Pillsbury. My daughter loves most anything Mac’n Cheese. She’s tried Lobster Mac’n cheese, and a variety of others at a hip New York City restaurant that specializes in different varieties of this favorite comfort food. Here’s a Turkey Mac’n Cheese Recipe that Wolfgang Puck shared on ABC that looks delicious. I’m going to substitute low fat milk and low fat cheese when I make it. I would also play around and improvise making some Turkey Tacos, Turkey Enchiladas, Turkey Stew, really anything that you would normally add meat or chicken to. Be adventurous and give it a whirl. Turkey Curry and Turkey Fricassee were some other suggestions that acquaintances have tried, so why not experiment? This Turkey Tetrazzini from the Pioneer Woman looks yummy but a little too high in calories for me. If you do try it, please let me know how it comes out. I really like this Turkey Croquette recipe from Epicurious because it uses leftover stuffing, mashed potatoes, gravy, and cranberry sauce. In addition, the chef who submitted the recipe likes experimentation with recipes, as I do. Very rarely will I follow a recipe exactly. Part of the fun, is trying different ingredients and modifications. Feel free to take your hash recipe, add some leftover turkey and turn it into Turkey Hash. Might be interesting to include with breakfast. I also always try to use the Turkey Bone and make some turkey stock. If I don’t want to make the soup right away, I freeze the stock for another time. Hope you enjoy these suggestions. Please let me know what you think of them and how they came out for you!